For your browser, certain featues (e.g the page layout or the display of certain pictures) may not work correctly! These photographs were taken during my first astronomical observations. The observations took place in August 2003 at La Silla observatory, operated by the European Southern Observatory (ESO). This observatory is located about 500 km north of Santiago de Chile on the southern border of the Atacama Desert. 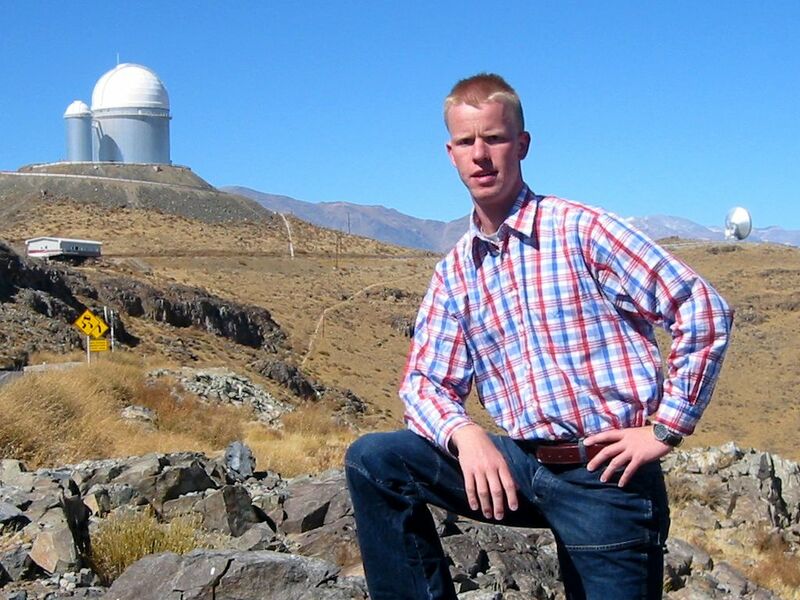 For the observations I used the instrument SoFI at the New Technology Telescope (NTT) to image distant quasars. 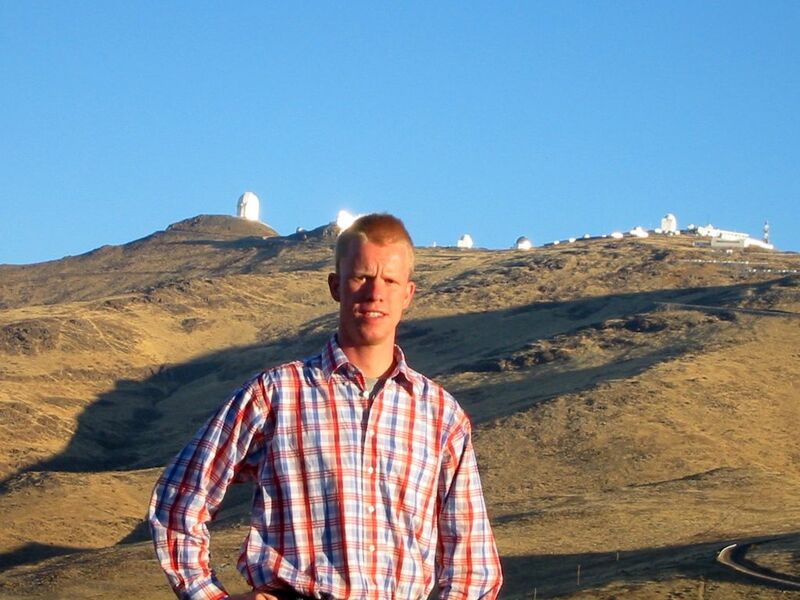 At the time the entire procedure was very exciting and gave me, for the first time, a deep insight into how data acquisition works in astronomy. Since my first observations at La Silla, I have several times carried out observations at Paranal observatory, also operated by the European Southern Observatory (ESO). This observatory is located in the central, driest part of the Atacama Desert, about 600 km north of La Silla observatory near the town of Antofagasta. During the visits to Paranal I gained experience in observing with the instruments NACO, VISIR and MIDI. In the left picture you can see me standing on a hill in front of the socalled "Residencia" - a subterranean building hosting the offices and accomodations - and the basecamp. 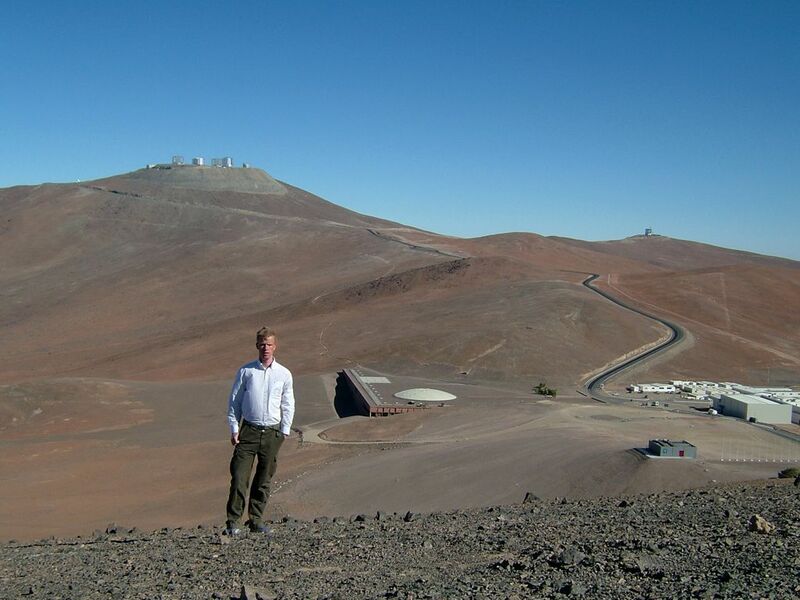 In the background the Cerro Paranal itself with the four UTs (unit telescopes) can be seen. The telescope on the left at some distance to the main observatory is VISTA. 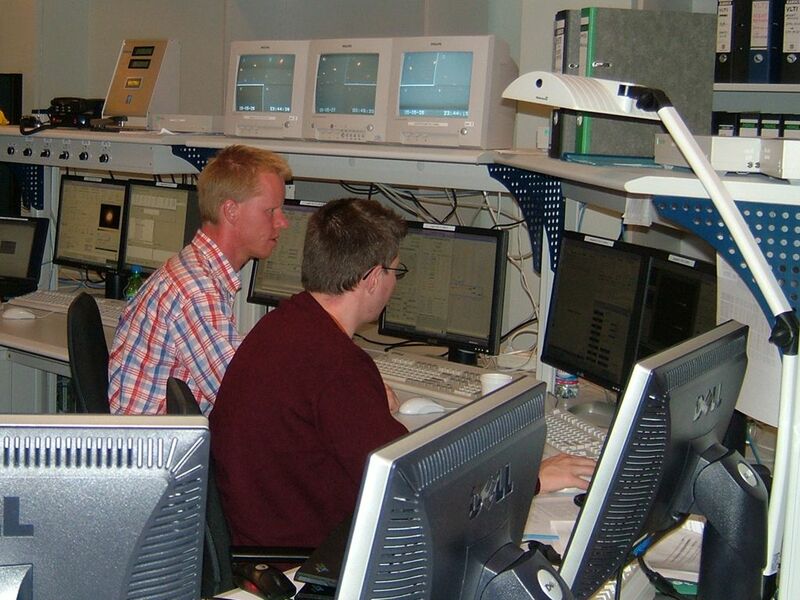 The picture on the right was taken at the VLTI consoles during observations with MIDI. Below is a panorama of the entire observatory from a small hill half way between the basecamp and the telescopes. Java must be enabled and working with the <object>-tag for this applet to work correctly. 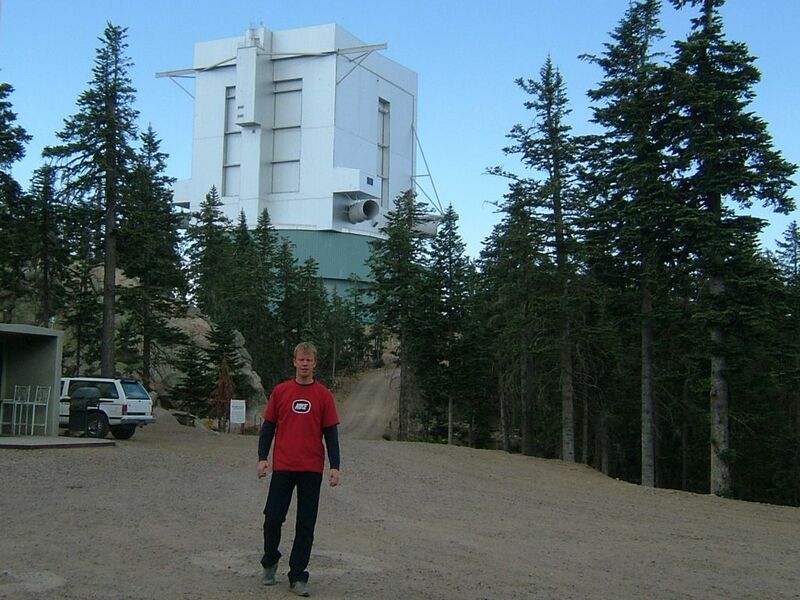 In August and October 2008 I carried out observations for the LBT Beteiligungsgesellschaft (LBTB), which is the German partner in the Large Binocular Telescope (LBT). The LBT is located at 3221 m altitude on Mt. Graham in southeastern Arizona in the United States. With its two 8.4 m mirrors on a single mount it has a very innovative design and will in near future allow aperture synthesis imaging. The observations I carried out only used the two mirrors independently. Unfortunately, the weather conditions in August were not very favorable for astronomical observations due to the monsoon season in southern Arizona. 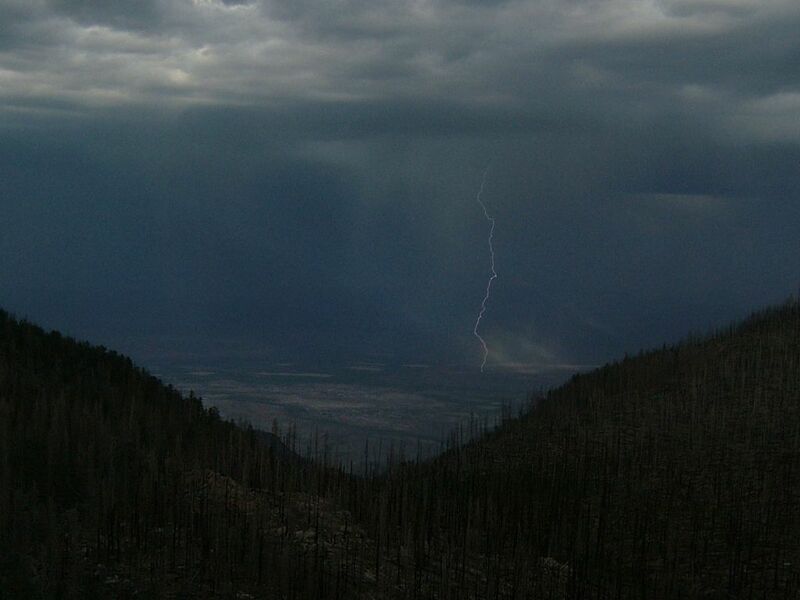 This can be seen in the left photograph, taken from the telescope during one of the frequent thunderstorms. © 2005-2019 Konrad R. W. Tristram	 Last modified: 14/04/2014, 23:40. This webpage is best viewed with at least a resolution of 1024×786, 24 bit colour, Mozilla 5.0, IE 8.0 or Opera 8.0, as well as Java(Script) enabled.